From the artful abode of Frank Lloyd Wright to the Bauhaus beauty of Walter Gropius, some of the finest works in domestic design over the last century have emerged when the architect is their own client. Designing your own home allows you to incorporate the aesthetic language you favor most, and opens the opportunity to realize a personal architectural vision without the need for compromise. An example of such a project has recently been completed on the scenic Costa Esmeralda, and the architect behind it — Argentine Luciano Kruk — has held nothing back in his pursuit of a modernist utopia. 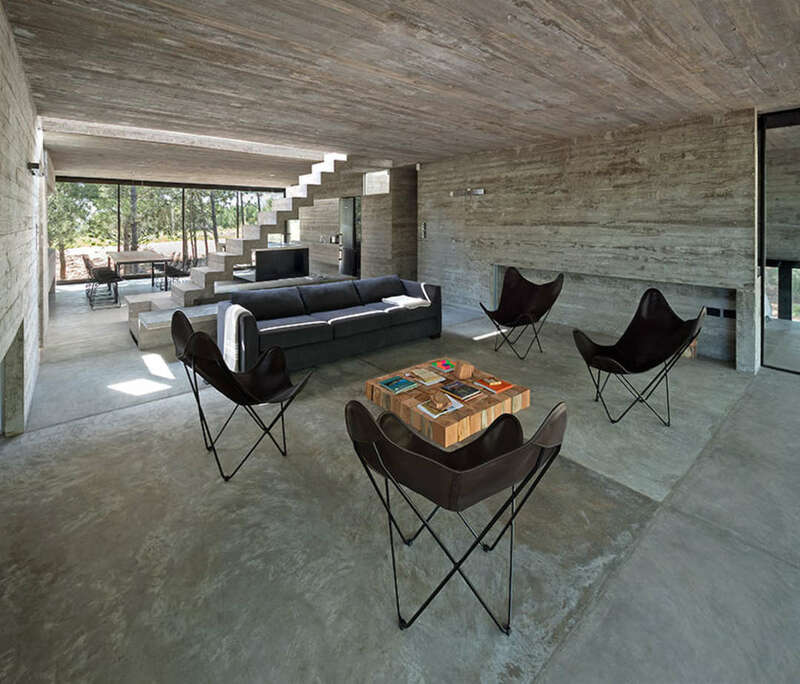 Casa L4, a holiday home for Kruk and his girlfriend, is defined by exposed, board-formed concrete — a material for which the architect’s firm is becoming increasingly renowned for employing in dramatic, sophisticated fashion. From the outside, the structure appears to comprise two distinct architectural elements — a floor that folds up to become a wall on one side, and the flat roof that folds down to form another façade on the opposite side. 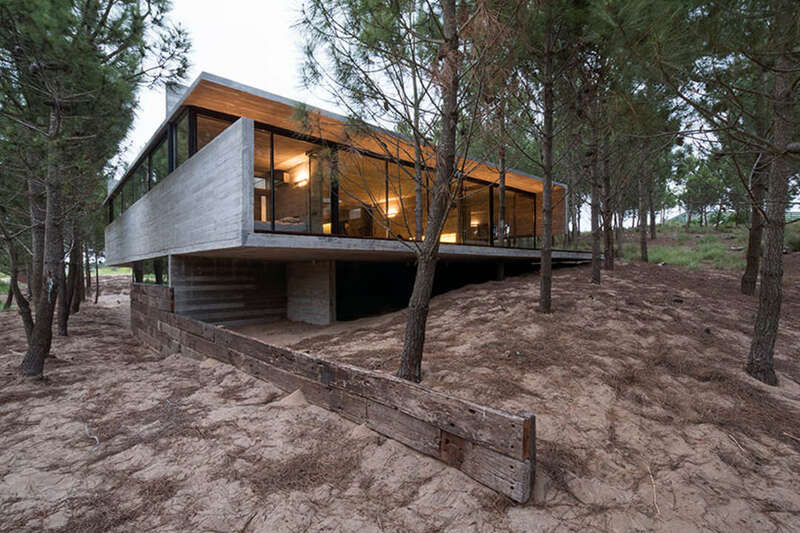 Between these concrete planes, the front and back of the house are filled with large panes of glazing, which can slide back to merge the interior with broad external terraces. Inside, further concrete walls divide up the living space, each carefully designed as a multifunctional element — some walls folding out to form kitchen worktops, while others have niches that incorporate shelving and integrated seating. 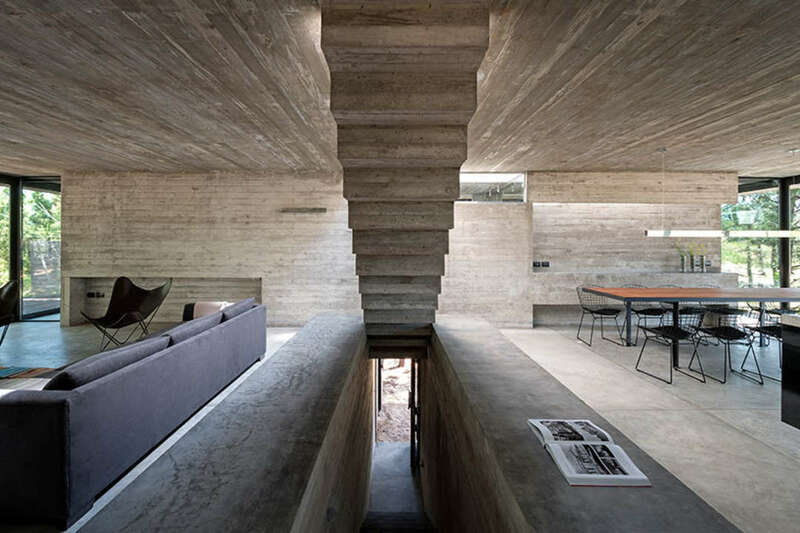 The defining feature of the interior, though, is surely the staircase. Acting as a natural partition between dining and lounge areas, a continuous ribbon of concrete treads and risers appears to defy structural logic, its slender nature presenting an apparent fragility that belies its true strength. 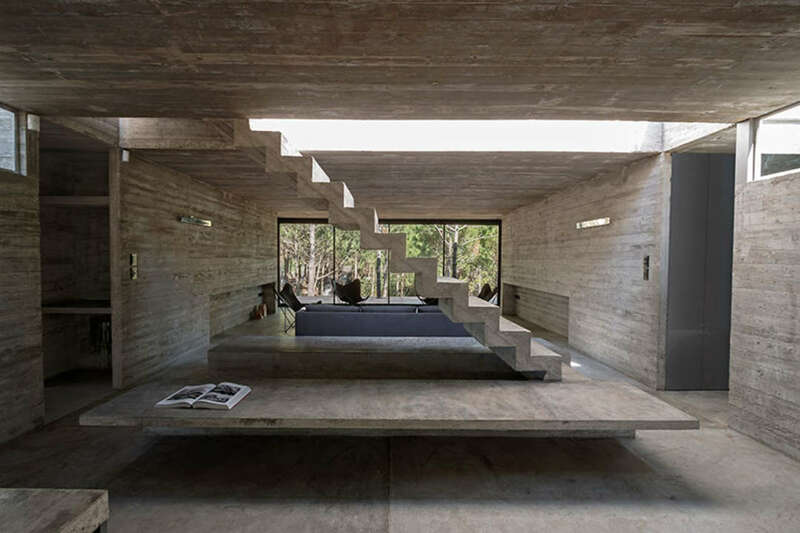 The stairs act as a sculptural centerpiece for the space, but also provide access to a light-filled lounge above the surrounding canopy of trees. As if this weren’t enough, Kruk has incorporated a rooftop pool with an expansive timber deck. The incredible contrast between concrete and glass throughout the design results in junction details to make many an architect’s mouth water. 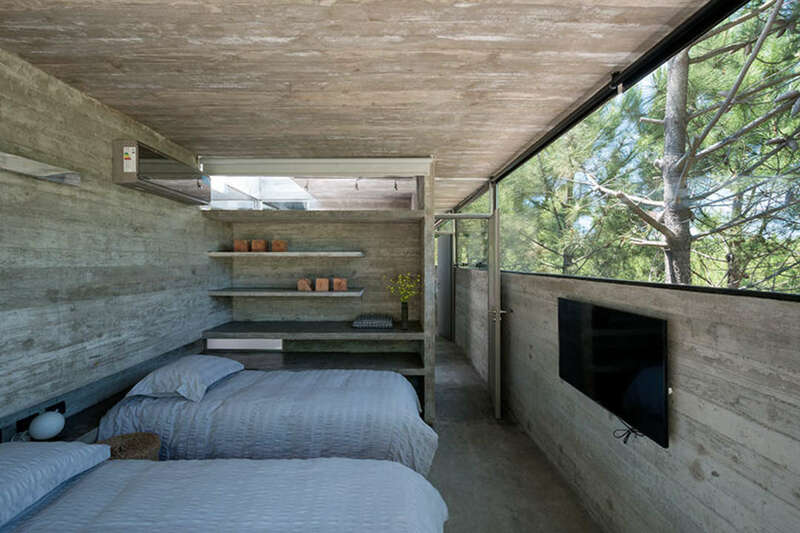 As well as the large sliding glass doors at the front and back of the property, light streams into the bathroom and four bedrooms via rows of clerestory windows, their slim frames juxtaposing with the raw solidity of the concrete walls that hold them. Details like these bring to mind the works of Le Corbusier, and — in time — Kruk’s contemporary abode could come to rank alongside the Swiss-French architect’s pantheon of residential masterpieces. 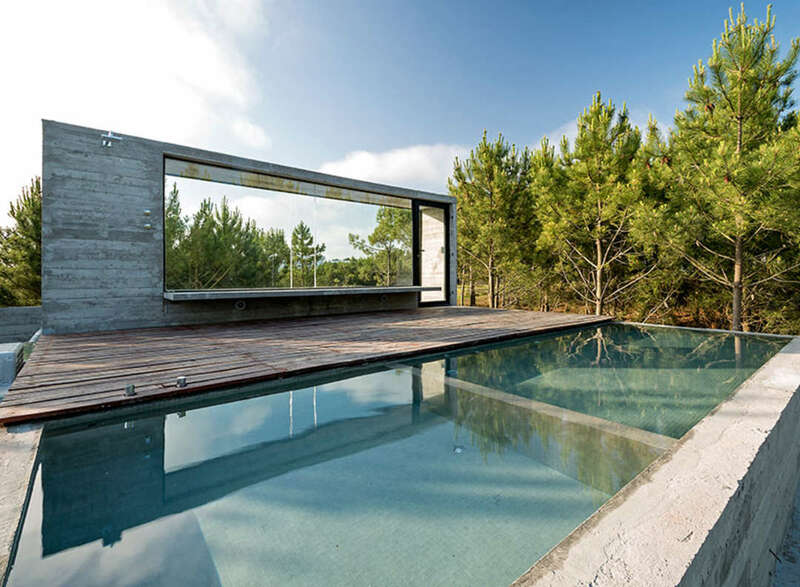 Casa L4 may be located within a remote coastal forest, but as a precedent for pure modernist design, it should take its place on center stage.